Home / Uncategorized / Five Star Golf Open!!!! 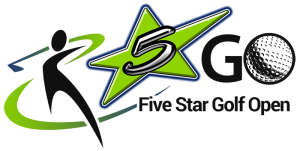 MARK YOUR CALENDAR FOR AUGUST 13 FOR THE FIVE STAR GOLF OPEN! HOW? REGISTER YOUR TEAM HERE! Don’t miss out on awesome prizes, fun competitions, Five Star student meet & greets, and more!! Want to make a BIG impact? BECOME A GOLF OPEN SPONSOR!